Unbeknownst to young Malala, she was picked up, groomed and her sincere intentions exploited by the world’s most notorious intelligence agency. Who is Malala Yusufzai? Like many other motivated whiz kids from Pakistan determined to prove their talents and exercise them further for society’s collective prosperity, young Malala from the once besieged mountain city of Swat is a 15-year old student who studies in the ninth class, just a level blow the Class 10 (Matriculation) duration, qualifying after which she will officially be a high school graduate (pre-collegiate studies). In major regions of Pakistan, especially the under-developed zones, girls who study beyond Class 5 are rare sights. And for those who know the value of education, supporting such girls is a social obligation. Hence, we have seen that over the past decade, there has been a remarkable increase in the female literacy rate across Pakistan now that the modern era of Information Technology has cast many a charm on aspiring students who wish tobe something, make their parents proud and be well educated, disciplined citizens of the state. Since long, children with extraordinary talent have been granted special endowments and support by various governmental organizations and NGOs alike. This is part of the politico-socio-academic framework here in Pakistan so that bright role models for other students could be propped up. My foreign friends might remember the name of the late Arfa Karim Randhawa, once the Youngest Microsoft Certified Professional; another such achiever who was given much encouragement by Bill Gates himself. Arfa passed away earlier this year. “We unanimously decided to publish the diary, but her safety was of utmost concern to us and we decided to use a pseudonym,” Mirza said. “The Diary of a Pakistani School Girl,” written by Malala Yousafzai, was published under the byline Gul Makki. The Taliban had blown up more than a hundred girls’ schools. A video feature by the Times, published in 2009, describing the life of Malala’s family, shows her in her school, a girl with a fair, round face, hazel eyes, carrying a satchel with a Harry Potter picture on it. Her public profile rose further after the Pakistan government awarded her the first National Peace Prize, in December 2011. “In a situation where a lifelong school break was being imposed upon us by the terrorists, rising up against that became very important, essential,” she told a Pakistani television network. When the interviewer asked her about fear and danger, Malala, speaking in a clear, forceful voice, said that her father, who worked for women’s education and fully supported his daughter, had inspired her, and that her mother had told her to speak up for her rights. And then, in a rather prophetic moment, she envisioned a confrontation with the Taliban. I think of it often and imagine the scene clearly. Even if they come to kill me, I will tell them what they are trying to do is wrong, that education is our basic right.The growing fame and her determination to speak out for girls’ education put her on the Taliban radar. Later on, Malala was picked up and ‘moulded’ by various NGOs (dastardly as most of them always are). Nighat Daad, a self-proclaimed womens rights activitist and a specialist with the UN provided further boost to the young school girl thereby opening on her the doors for a plethora of Westernized (i.e. 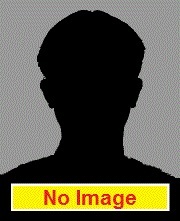 detested by the mainstream public) human rights officials, news groups and organizations. This led to a growing mass projection on print and electronic media. And as feared, she now became highly endangered as heretics had set their eyes on her. Let us pause here for a minute: There are scores of extraordinary Pakistani kids who blog online, write diaries in publications and appear on TV. Then why was Malala the only selected candidate? There are several reasons for this. Most importantly, Malala had gradually been groomed into an icon of young, female resistance against tyranny and oppression in her fight for the right to education. Secondly, she garnered great influence as she was routinely invited by a variety of senior government, military, diplomatic and HR officials especially the US. I happen to be an online journalist (mostly because my articles stating the alternative viewpoint are rejected publication in local papers). I have studied Journalism as a subject in graduate studies and as far as reporting goes, there is nothing unethical in “adapting to the local environment”. Especially if you’re a “white Amerikaan”in Pakistan, you need to brush off suspicion very thoroughly. I do not blame my people for this. We already have CIA and MI6 agents roaming around the country under various guises, German BND spies also were caught roaming about dressed in local Pakistani wear and even burqas. Furthermore, we have had our taste of Nicholas Schmidle and Ilana Dayan. Remember Schmidle? He came to roost in Pakistan and pen piece after piece on manufactured intelligence. Unfortunately for him, Pakistan’s ISI took notice of his covert activities and he was subsequently booted out of the country in 2008 on charges of espionage. He acted well as your super-smart journalist and investigator, little did people know his father Robert E. “Rooster” was a former Major General in Special Operations and who is currently a Lieutenant General serving as Deputy Commander of the US CYBERCOM (US Army Cyber Command). Details on the CIA-funded Nicholas Schmidle can be read here. We also had an Israeli, or more appropriately, Zionist agent visiting Abbottabad posing as an Argentinian professor of law using fake documents and passports. Ilana Dayan has interviewed former Mossad chief Meir Dagan in the past and is known for having close ties with Zionist Israel’s military intelligence. Read about her case here. Pardon me, I have this habit of trying to present the necessary context on which I talk, just for reader clarification. So let’s see: We have a New York Times reporter throwing the limelight on Malala just a month after her blog entries for the BBC —> the young girl becomes a celebrity overight —> Pakistani media gets abuzz with the student —> NGOs, etc. come in —> too much exposure —> then there’s a continued development, in between we have Generals Allen and Dempsey pressurizing General Kayani for an unwanted offensive in North Waziristan —> sudden new wave of terrorist attack “traced to TTP militants” and finally —> attack on Malala and classfellows, out of nowhere a minister traces the leads to North Waziristan, exactly where the Pentagon and Langley want Pakistani forces in. Let me try and round up what I’m exactly trying to assert: My esteemed colleague recently brought to my attention that the way in which this whole hullabaloo took place is akin to a “trap feed”, as they say in military terms. The asset is unknowingly used and then discarded either by being harmed or done away with right that instant. To get over hyped and conspiracist such as many people accusing Malala and her father of being “CIA agents” is not justifiable and acceptable. Ziauddin Yusufzai, whatever political connections he might have, is the spokesperson for the Swat Qaumi Jirga, a peace brigade who have helped the Pakistani security forces to a considerable extent in arranging dialogues with rebellious elements and also assisting in the maintenance of law and order in the district. I believe a full thorough investigation into Adam B. Ellick’s dubious role should be initiated and his credentials/background properly analyzed. Furthermore, a detailed probe into what prompted the NY Times documentary reporter to reveal Malala’s real identity should be ascertained. Such opportunistic mala fide trouble-makers and hogwash journalists should be held accountable for the consequences their careless or intentional actions have on the people they film. Adam posed as a Pakhtun-lover, persuaded the family to get two videos recorded for him and then left the country; left Malala amidst the inhumane beasts of the TTP, who are America’s custom-tailored “Taliban”. He set off a cracker, upon which ratings-hungry media conglomerates in Pakistan pounced upon, featuring and citing Malala for various “package reports” thereby increasing the threats against her safety and well being. The CIA has been working since its inception on a variety of intelligence warfare techniques. Using Hollywood (“Argo” anyone? ), print/electronic news media, various blogs to propagate their agenda and primarily to spread disinformation and confusion among the masses especially those of the target-state. Project Malala involves a young girl from Swat, full of sincere intentions and high hopes, cunningly and covertly being twisted and moulded by merciless foreign-sponsored NGOs and the innumerable Shakil Afridis roaming around. It is truly a shame that despite the fact foreign agencies cause havoc in Pakistan, local assets are always the recruits. The question arises, where are these pictures of Malala and her father surfacing from? And why specifically those in which she was invited by US officials? Malala also met various Pakistani military officials, diplomats, etc. Why only these? The TTP maintains a robust cyber wing. In fact I personally have a database of more than 300 pages being run by these heretics to Islam who distort the peaceful, serene teachings of Islam for their nefarious agenda; these people are known as the ‘Khwarij’ (heretics, outcasts) who declare all others besides their own mindset as“infidels, liable to be killed”. In 1979, it was the illegitimate state of Zionist Israel which provided arms and maps to the Khwarij to attack the Sacred Mosque in Makkah (Saudi Arabia), a zone where no sane Muslim would never dare to even throw a stone at. These same TTP elements circulated Malala’s pictures out of context on Facebook primarily and then on their forums trying to gain sympathy and support from Pakistan’s emotional lot who will label anyone as ‘CIA’ if they meet any white man. In this way, the TTP is fulfilling the CIA’s psychological game-plan. Confusion, confusion and utter confusion. My humble request is: We should abstain from unfounded speculation and spreading tell-tale rumors. In the end, what needs to be noted is that Malala Yusufzai and her class fellows were attacked, their blood was spilt. They were not spared. The murderous, illegal drone strikes on Yemen and particularly Pakistan have killed innumerable people, innocent men, women and children. The CIA-backed TTP based in Nuristan, Kunar and Khost regions of Afghanistan regularly infiltrate into Pakistan under the knowledge of NATO-ISAF to spread terrorism and panic in the country. The Raymond Davis saga, Blackwater/Xe mercenaries, JSOC death squads (who took down Benazir Bhutto with a laser, details later someday).. All this, but the whole world shouts against the attack on Malala. Great! But why just Malala Yusufzai? What about other class fellows? 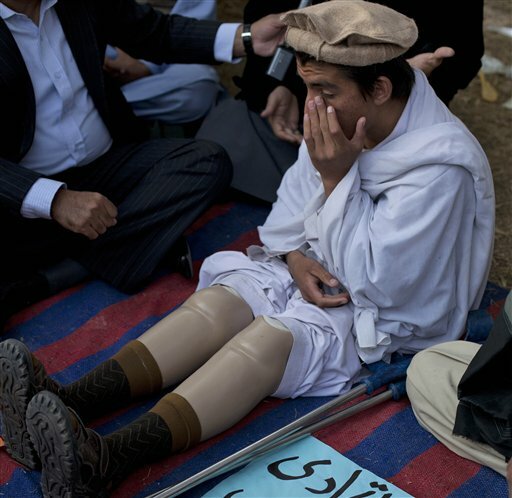 What about Saadullah Wazirand many others like him, young ones who lost their limbs to murderous drone strikes? What about all the unheard of little boys, girls and adults Hellfired by Predators and Reapers? Madonna, the New World Order’s glamour queen shouts out for Malala, tattoos her name on her back as an ominous gesture. William Hague, Barack Obama, etc. inquiring about Malala. Hello!? What about US citizen Sameer Khan, the misguided boy murdered by drone strikes in Yemen under God’s open skies? What about the children martyred by TTP in Rawalpindi’s Parade Lane mosque? Have they not heard of 16-year old Tariq Aziz also eliminated by the drones belonging to the World’s Champion of Human Rights? These statements, ‘signs of solidarity’ have an agenda, and nothing but. The United States’ uncontrollable rogue intelligence agency CIA has once again gotten away with bewitching the ordinary citizens of a peace-loving world into falling for a well laid out plan. A structured socio-psychological operation. Malala, an innocent girl, was used for this purpose. I hope and pray that Malala, her friends and all other victims of CIA terrorism recover soon. My prayers are with all of them. All of them. The shooting of 14 year old Malala Yousafzai has shocked the world, and shocking it should be, as children don’t deserve such ruthlessness. What Malala stood for, and what she was fighting against, is not my concern at the moment, for such concerns, whether right or wrong, have already been addressed by a large number of so-called advocates for Human rights and justice. I am not even concerned in knowing who actually tried to kill her, for I as a Muslim do not condone such an act. What I am really concerned about is the hypocritical stance taken by some of the voices who are standing up for Malala today. Two days after the activist girl was shot, American singer Madonna, dedicated a song for her, and said, “This made me cry. The 14-year-old schoolgirl who wrote a blog about going to school. The Taliban stopped her bus and shot her. Do you realise how sick that is?” Now whether Taliban is responsible for this act or not, I am not sure, but why doesn’t Madonna cry when drone attacks launched by her country kill hundreds of innocent men, women and children every day in Pakistan, Afghanistan and Yemen? The children killed here, also wanted to go to schools, they wanted to live too. Doesn’t she realises how sick that is? UNICEF tweeted on October 11 that, “Today our thoughts are with Malala Yousafzai, the inspirational 14-year-old activist for girls’ rights.” What made this organisation for children rights remain mum, when 16 year old Abdul-Rahman al-Awlaki , the innocent son of Imam Anwar al-Awlaki, was killed by the United States, when he was having barbecue with his cousin and friends? What moral rights do countries like UK, USA, and their warmongering allies have, to condemn this shooting, when their hands are coloured with the blood of hundreds of thousands of innocent people in Iraq? More than half a million children died due to U.S. sanctions against Iraq in the 1990s, and continue to do so till today. When asked whether these killings were worth the price, the then U.S. Secretary of State Madeleine Albright, said ’We think the price is worth it’. And the result? Ms. Albright got the Honorary Chair for the World Justice Project for this audacity of her’s, and her victims got Metal Contamination, and Birth Defects as lullabies to go to sleep. The question we should all be asking is does the blood of children become worthless, when the super-power of the world does it, and is sacred when its adversaries allegedly do it? I don’t think so.